Exclusive! 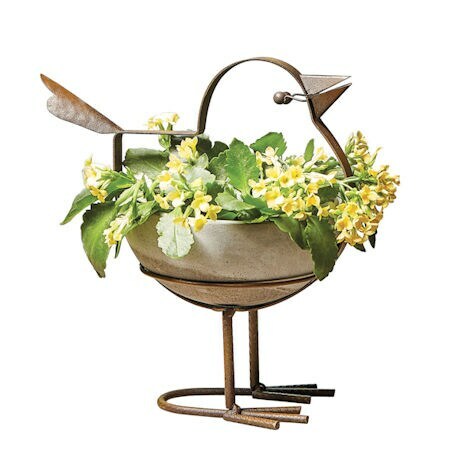 A planter so perky and cheerful it almost sings. 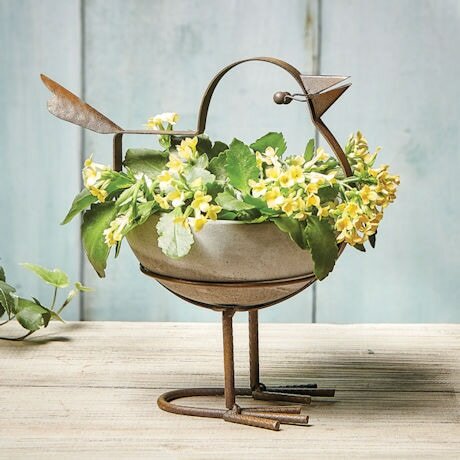 A small, sturdy concrete bowl rests in a rusted iron frame, ready for a burst of colorful flowers. Bowl 6" diameter, planter 9" high.